Aphids, thrips, spider mites, fungus gnats, scale insects, whiteflies and other small flying insects invade gardens and greenhouses throughout the season. The first insects landing in gardens start the infestations that grow to damage plants. The Yellow Aphid Trap works by imitating a very healthy plant leaf. Insects attracted to the trap are captured and killed in the powerful sticky glue. 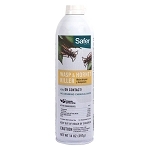 Catching and killing those first few insects is easier and more effective than trying to control a serious insect infestation later. 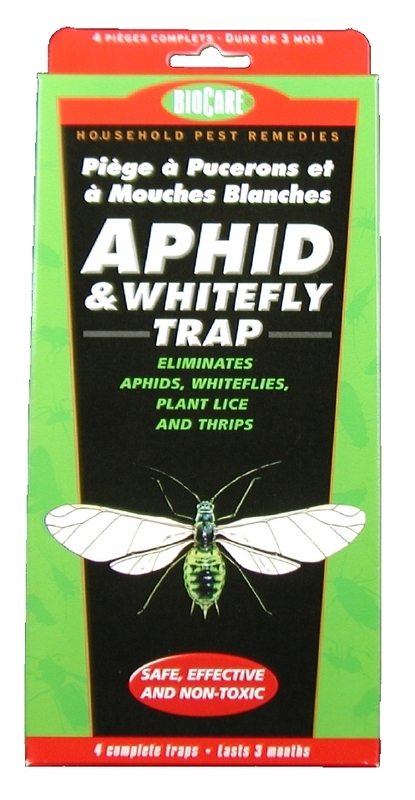 Long term use of the Yellow Aphid Trap will reduce troubling infestation without the use of toxic chemicals. Place the trap on end, on its side or hang it using a twist tie. Put the trap near and above fruit, vegetables or other sources of insects. Traps can also be stuck to wire, plastic or wooden stakes. 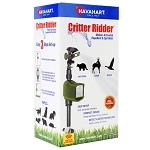 Place traps early in the season to prevent infestations from establishing. Dispose of traps when full or after three (3) months. In case of contact, remove glues with vegetable oil. Each package contains four (4) two-sided 3.75" x 6.25" traps.